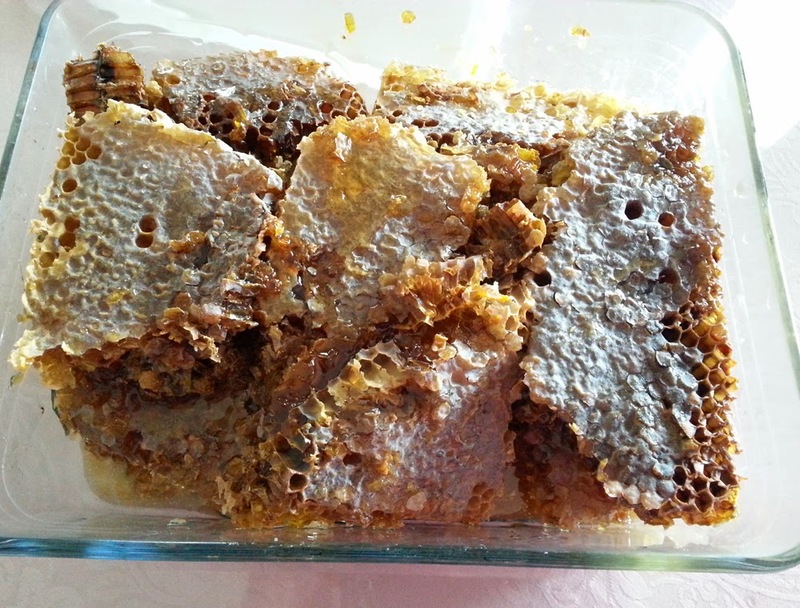 These honeycombs came from our neighbour in the countryside where the may flowers came from . 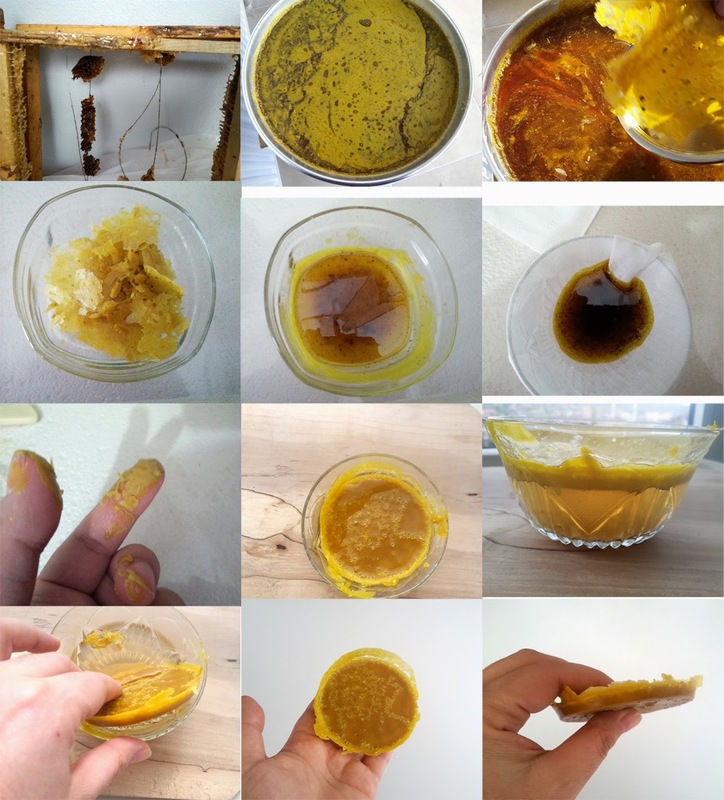 I always wanted to make lipbalm from beeswax so I tried to extract the beeswax. Although the beeswax I get at last was not much and it takes some time to make it, but it was fun. I followed the instructions here with making some changes. After removing the honeycomb from the wooden frame I put it in a pot with adding some hot water and put it on the stove, heat until the beeswax melts. Then I poured it through a plain strainer to remove the debris that is not wax.Then I poured the hot water and beeswax solution to a large pan to cool. After melting it to remove anything that get through the plain strainer , I filtered it through a cheesecloth to a smaller glass bowl. Be as quick as can be because wax starts to harden and sticks to the wall of the bowl and your fingers. I added some boiled water to get it melten again. Left it to cool and a couple of hours later Voila!!!! I have a tiny disk of beeswax . Welcome and thank you for visiting my blog. I like crocheting and jewellery making.